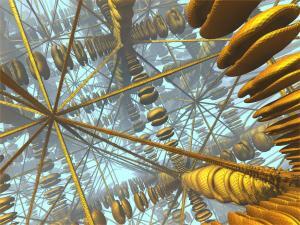 Description: This lattice consists of 3 intersecting completely different looking cubic lattices. 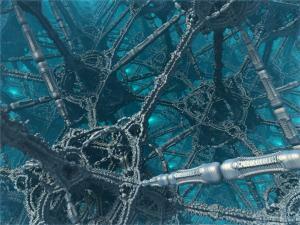 Its currently the most complex lattice i made. Getting such complexity is not easy. This is an very unstable hybrid consisting of 7 fractals where the removal or change of any of these and their values causes massive changes. 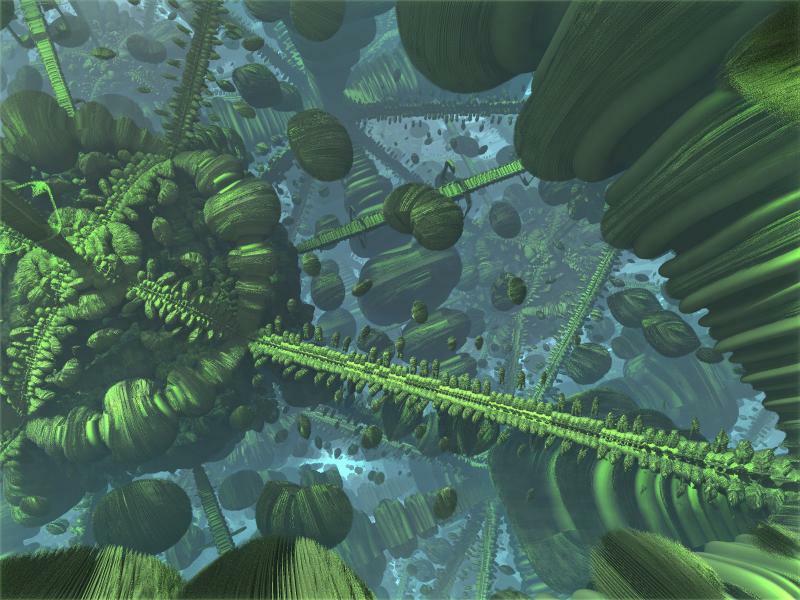 Just adding a random fractal is not enough to get more complexity since most do either destroy everything or do nothing at all. Every component must be selected and fitted in with increasing effort. The noise has been left intentionally to keep the look of decay and soft organic materials. My favorite part of this are the spreading and growing spores.